The Kimberley Land Council (KLC) represents Traditional Owners in the Kimberley region and aims to protect traditional land and waters, and to enhance and acquire formal status (legal, social and political) for the customs, laws and traditions of Kimberley Traditional Owners. Each year KLC holds a Kimberley Ranger Forum to bring together rangers from across the Kimberley region. In May 2013, Kimberley Aboriginal people and the Comcáac people of Sonora Mexico held an inaugural International Ranger Forum at Gambanan on the Dampier Peninsula, WA, the idea being that it would be the beginning of a global movement to create independent, prosperous Indigenous communities across the world, based on the responsible use of heritage resources. KLC approached ICV for help to plan, coordinate and record this international Forum with a view to establishing firm foundations for an annual event where first peoples from many nations come together to share experiences and lessons learned regarding the development of cultural economies. 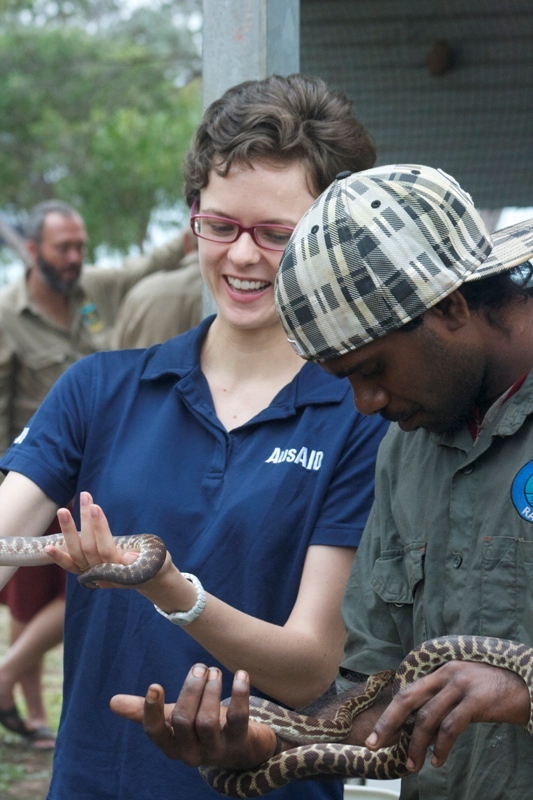 ICV’s ongoing partnership with AusAID offered the perfect solution – the opportunity to provide qualified and experienced AusAID staff together with skilled ICV volunteers. This first international event was a great success. The most significant announcement was the declaration of a network of Indigenous Protected Areas, the largest connecting area of Indigenous conservation land in Australia.